We're so excited about these Delightful Dark Chocolate Dreams, and if you love chocolate as much as we do, you should be excited too! This recipe, like so many others (for example these Ch'almost Chocolate Power Balls), stem from some pretty intense chocolate cravings combined with a desire to eat healthy. Because even though the team here at This Is Nuts is all about eating healthy and living an active lifestyle, we love to indulge a little. 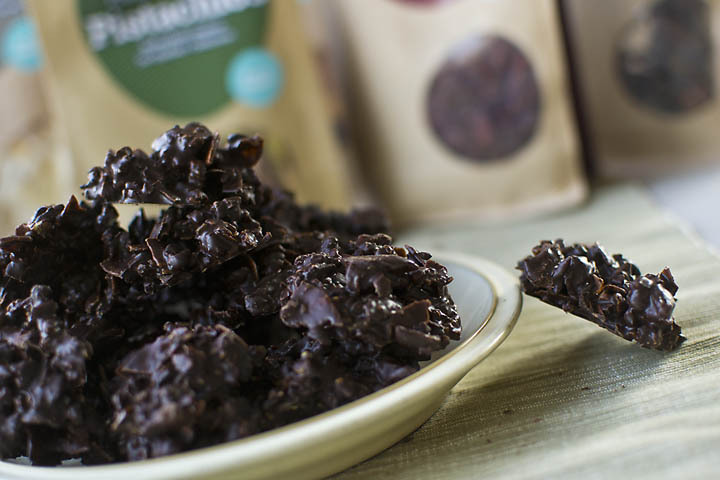 These chocolate treats have that perfect crunch and natural sweetness that you can always expect from our all-natural products, and they are melt-in-your-mouth delicious. Chop the pistachios and then the dates finely in a food processor. Combine the pistachios, dates, goji berries, cacao nibs and coconut chips in a bowl and set aside. Melt the chocolate and coconut oil stovetop on low heat, while stirring continuously to prevent the mixture from burning. (Another option is to use a double-boiler, i.e. 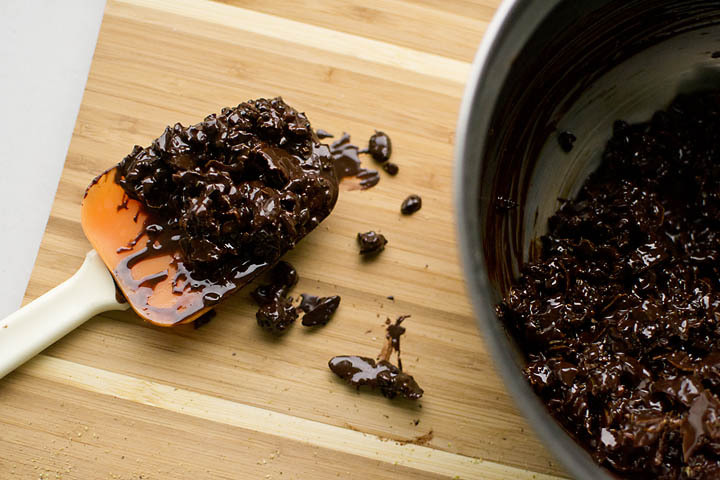 melt the chocolate in a bowl that is placed in a pan of simmering water, but this isn't necessary.) Pour the melted chocolate and coconut oil onto the fruit and nut mix and stir until the mix is nice and even. Use a couple of spoons to dole it out on a cookie sheet. Refrigerate for 20 minutes before eating. Prepare to descend into pure bliss!